Key Lime Pie to come with neat unlock-to-app feature? 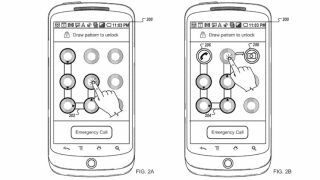 Google's latest patent hints that future Android iterations will let you draw specific patterns to unlock your phone straight into the app you want. The application suggests that you'll set up several patterns to unlock your phone to take you into, say, the camera app or the dialer screen. It's simple yet handy, as all the best things are. Could we see the new unlock-ability make its debut in Android 5.0 - also known as Key Lime Pie? Let's hope so. But just when might that be? At this point, your guess is as good as ours. Wait, no, that's not true. Our guesses are pretty solid and we reckon October 2013 is a good bet. We don't expect this nifty unlock-to-app to be the headlining feature though - we've had a think about what we'd like in the next Android version here.